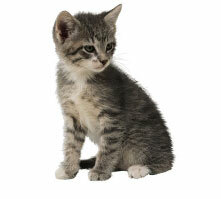 Metro Ferals is a non-profit organization that is run by donations and volunteers. Unlike other rescue groups in the DC, Northern Virginia and Maryland areas, Metro Ferals's sole mission is to relieve suffering of feral cats by getting them spayed/neutered. It’s not easy trying to explain to someone who is on a fixed income and feeding cats, that there isn’t enough money to help them get their cats spayed/neutered. Metro Ferals wants to assist those who want to make a difference, and that can only be done with help from you and the community! There are many ways you can help Metro Ferals, by either volunteering or making a donation. You can make a donation online using your credit card right now. Simply click on the PayPal button to make a secure payment via the PayPal service. For more information on how to donate or help. Please feel free to contact us!